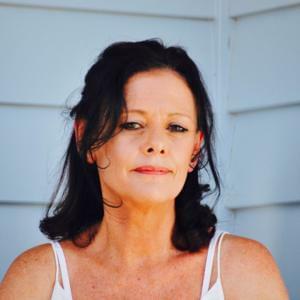 Kate Lyons has had her short fiction and poetry published in a range of Australian literary journals. Her first novel, The Water Underneath, was shortlisted in the 1999 the Australian/Vogel's Literary Award and was published by Allen & Unwin in 2001. Her second was published by Allen & Unwin in 2006. The Water Underneath was shortlisted for the Nita B. Kibble Literary Award (Dobbie Award) and the Fellowship of Australian Writers Melbourne University Press Literature Award, and was a notable book in the 2001 Pan Pacific Kiriyama Prize. She holds a Doctor of Creative Arts degree from the University of Technology Sydney and was the New South Wales Ministry of the Arts Writing Fellow in 2006. Kate lives in the Blue Mountains, New South Wales.